Inkfish: I'm a Synesthete. Is Something Wrong with Me? Like victims of catastrophic head injuries, people with synesthesia often appear in neuroscience papers identified only by their initials to illustrate the mysteries of the brain. But synesthesia's not a freak occurrence. It's estimated that 2-4% of people have abnormal connections between their senses. The condition may not be an accident at all, but a trait that evolution has retained for a reason. The authors of a new review paper, David Brang and V. S. Ramachandran, ask why synesthesia has survived. Since it runs in families, synesthesia seems to be partially genetic. But it appears in many different forms--more than 60 have been documented. 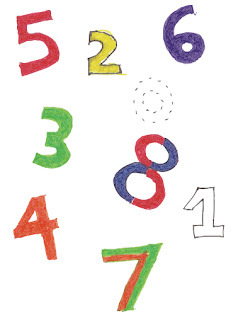 Garden-variety synesthetes see numbers, letters, or sounds in specific colors. Less commonly, synesthetes may experience each day of the week as a certain point in space, or feel touches on their own bodies when seeing another person touched. Many genes may be involved, and the interaction between synesthesia genes and a person's environment might lead to all kinds of outcomes. It's possible that the genes promoting synesthesia have been kept around by evolution because they have a "hidden agenda." Another such trait, Brang and Ramachandran say, is sickle-cell anemia, which in addition to its unhelpful medical effects grants protection against malaria. Aside from the obvious sensory quirks, do synesthetes have a sneaky superpower? Ramachandran, incidentally, is the person who broke the news to me about my own synesthetic tendencies. During my freshman year in college, my friends and I went to a talk he was giving on campus. We settled into folding seats, ready to hear about an exotic cognitive phenomenon. "For someone with synesthesia," Ramachandran explained to the auditorium, "the number 3 might always appear as red." Lame. I leaned toward my dorm-mates. "But 3's are green," I whispered. They turned to stare at me. "Oh," I said. Ramachandran then projected a screen full of 5's and 2's, printed as if on a digital clock, square-edged reflections of each other. 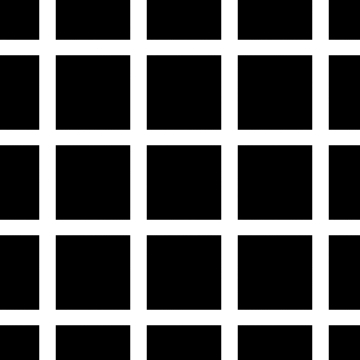 I was distracted by a weird illusion: Although the numbers were all in black, there were flickers of maroon and navy wherever I wasn't looking, like the gray blobs that appear in your periphery when you look at a grid of black squares. I wondered if I was seeing a trick of light from the projector. Then I heard Ramachandran explaining, as he moved to the next slide, that this was a test for synesthetes, who could discern a hidden pattern among the 5's and 2's more easily because of their associated colors. Ohh, I thought. Brain research has only begun to figure out what's happening inside a synesthetic brain. For grapheme-color synesthetes (people who associate numbers or letters with colors), seeing those numbers or letters activates a color-perceiving brain region called V4. This shows us the connection is happening on a sensory level, and not in the realm of abstract ideas. A number doesn't just remind a synesthete of a color; it triggers a color-sensing area in the brain. 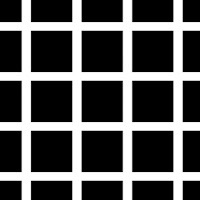 A recent paper suggested that the visual centers of grapheme-color synesthetes are hyperexcitable, responding to only a fraction of the stimulation needed for non-synesthetes. Perhaps relatedly, some researchers think synesthesia comes from lazy pruning in the brain. During development, the brain trims out extra neural connections to keep everything running efficiently. But synesthetes may have given their brains' gardeners too many days off, and the resulting overgrowth may link brain centers that shouldn't be related. So what superpower could an overactive and underpruned brain have? Synesthesia is more common among artists, and synesthetes tend to be more creative than others. Maybe today's artists were a previous era's tool-builders, chipping stones into new shapes and getting a bigger share of mastodon meat in return. Or maybe evolution has never selected for artists, and creativity is just another side effect of the synesthesia genes. As a more convincing superpower, synesthetes might have enhanced sensory perception. Grapheme-color synesthetes, for example, are especially good at detecting colors. Synesthetes in general also have improved memories. This especially applies to something like a telephone number, which can be easier to remember because of its associated colors. But if synesthetes' better memories extend to other kinds of sequences or details, that trait could have given them an evolutionary boost in the past. Synesthesia genes might indirectly help people perceive and remember their environments--or the experience of synesthesia itself might be what helps them. Personally, I've never noticed any sort of benefits (unless you count my brief and uncool foray into pi memorization in eighth grade). But synesthesia is good for an embarrassing moment now and then, such as during the occasional poker games I've played with friends. The problem with poker is that I can hear a hundred times how a green chip is worth 25 (imaginary) dollars or a blue is worth 10, but I'm never going to believe it because those colors don't fit the numbers. Other people have to help me place bets because doing arithmetic with poker chips stumps me. Whenever the computer was uncertain about the sequence, I had to double-check the peaks and enter the corresponding letters myself. Now, I'm not the only person who thinks A's are red; it's a common association among synesthetes. But in this software A was green. The other three letters were also wrong--almost perversely so, it seemed to me. I had to check the key another time with every base I entered. My advisor probably thought I'd had a stroke when he saw how badly I was struggling to memorize a simple four-letter code. When I put my head in my hands and groaned that T isn't red, it's just as blue as the number 2 is, he abandoned me at the computer. "I don't know what you're talking about," he said over his shoulder. Finding out more about the mechanics of synesthesia would give researchers insight into the working of the brain in general. Besides the obvious open questions (like what causes synesthesia and how it works), the authors point out some other areas for research: Does synesthesia exist in animals? Does everyone in the population fall somewhere on a spectrum of synesthesia? Do the genes causing synesthesia independently boost memory or sensory abilities--or does synesthesia itself benefit mental abilities somehow? And although numbers and letters can evoke colors, why is it never the other way around? As much as I'd love to have a superpower, I'll settle for being mildly interesting to neuroscientists while having a brain that's in one piece. And avoiding poker games. I'm a grapheme-colour synesthete. 5 is blue, 2 is light brown, 3 is pink, T is dark green.